Prior to joining the Institute, she worked for many years in higher education as a management development practitioner, working with a wide range of external clients. Through this, she developed particular interests in managing in the public sector, and the distinctive demands, pressures and rewards it brings. 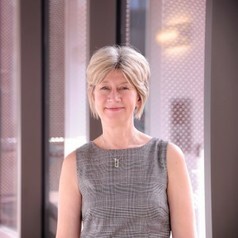 Alison undertook her doctorate between 2006 and 2009 at Nottingham University. Her doctoral project investigated the relationship between spatial and organizational change, and was based on an ethnographic study of an organization which undertook a major reconfiguration of its work buildings as a way of seeking cultural change. This has shaped her current interests in organizational space and sociomateriality, and the use of ethnography as an approach to researching and writing about organizations.